Since it’s the Brit Awards tomorrow I thought I’d do a little ‘Best of British’ theme nails this evening! It took ages to do, more so because the little gem stones were really tricky to get hold of lol! The tiny little things just kept rolling off to places destined never to be found again! Gems for the Union Jack. Hope you like it! & Thanks for reading! Tags: Beauty, brit awards 2012, british, brits, Cosmetics, deborah Lippmann, Health, kabaret, MODELS OWN, Nail Art, Nail Care, Nail Polish, Nails, Nails Inc, ruby red slippers, Shopping, Slavic, snow white, Union Jack. Bookmark the permalink. Your nails look amazing! 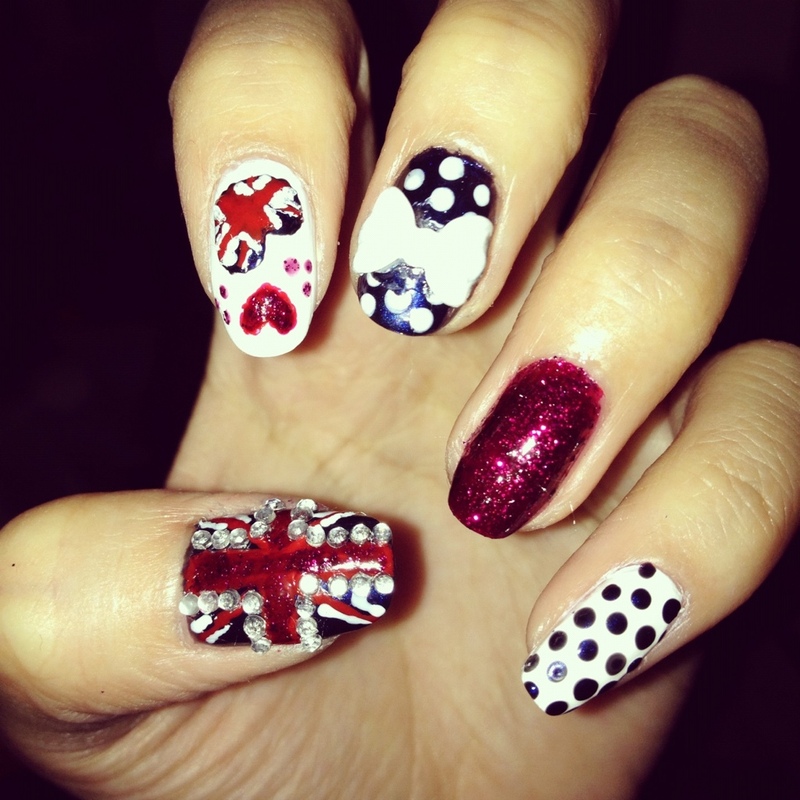 Love the union jack – i wish i was good at nail art! This is pretty amazing! I love it! I may attempt to do something similar. It is gorgeous!